What do tea kettles, fishbowls, hard hats and crock pots have in common? They are all viable "cups" for 7-Eleven Bring Your Own Cup Day! Grab your goblets and head to 7-Eleven from 11 a.m. to 7 p.m. on Saturday, April 11 for the first BYO Cup Day in the United States. Don't start gathering your kiddie pools just yet, though.... Containers must be clean and no larger than 10 inches in diameter. 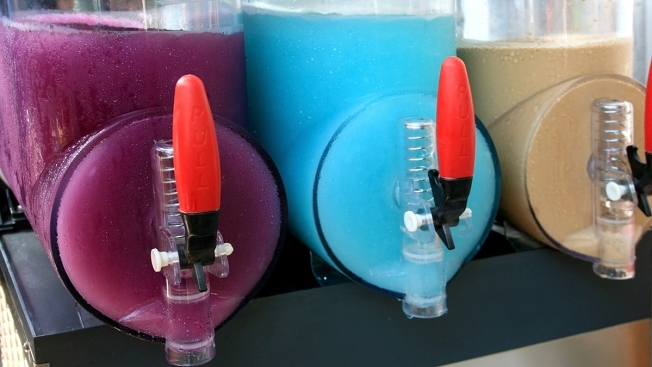 Stores will have stands with 10-inch diameter holes to test your vessels -- so don't try to cheat, super-Slurpee lovers. All cups that pass these tests can be filled right up for only $1.49.